Alternate title: Why Rest and Recovery are Important! I took last week off from training in order to recover from my half marathon and give myself a mental break after a long season. I know that I had alluded to it before on the blog, but I was definitely burnt out after triathlon season ended. The only reason that I kept up my running was because of the half marathon, and I'm quite happy that it was a successful race even with my purposely minimal training. So last week was my real break. It is so important to rest, recover, and give yourself a break now and then, because we ask so much of ourselves, body and mind for most of the year during training and racing season. I will likely take another full week off in December before we get underway with our training program. For now, I'll focus on bringing back my workouts in all three disciplines to build a base, weight training to build strength, and yoga to help with recovery and my mental training. Monday: Yin Yoga. I have said it before, but I will say it again. I love yin. It really forces me to turn inward, relax and be patient. Tuesday: Rest day. I taught two barre classes. Thursday: Taught barre in the morning. Took a Flow Yoga class in the evening. Friday: Rest Day. 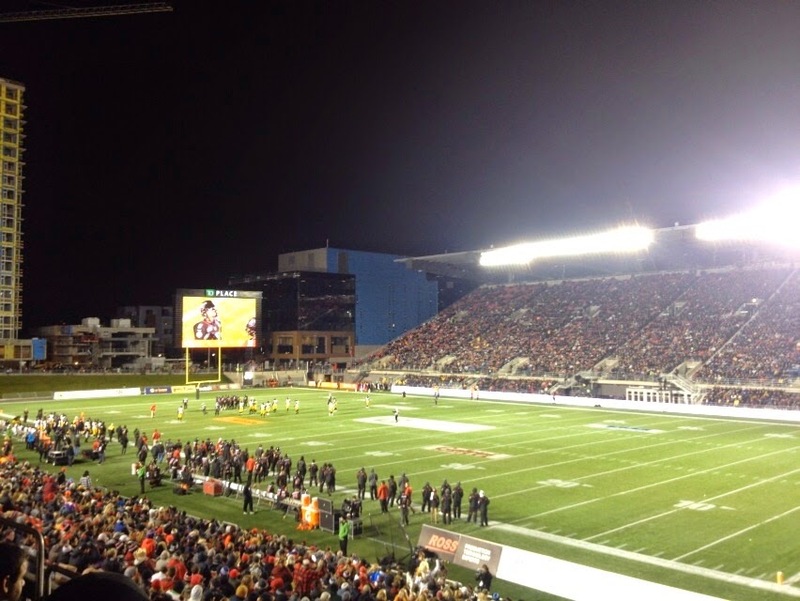 RedBlacks game for Halloween! Saturday: Taught two barre classes. Then I scooted off to another Flow Yoga class before finishing the prep for my Halloween party! 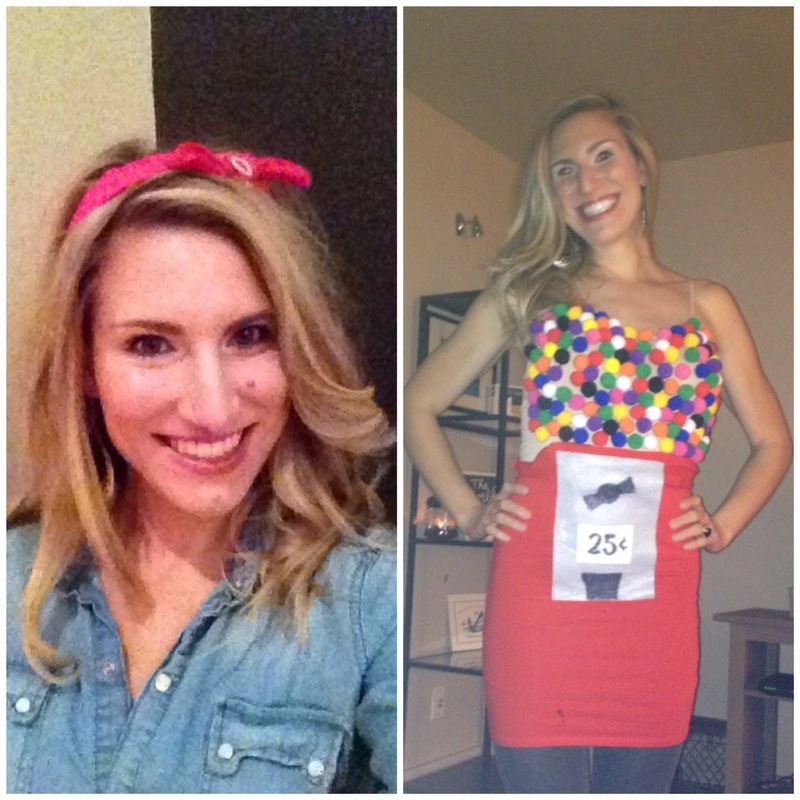 I dressed up as one of my favorites - Dolly Parton - and also as a gumball machine, since I had originally planned to go out on Halloween, but then didn't when we went to the football game. Sunday: Another rest day. I did a lot of reading to try to finish my book for the book club meeting that I was hosting (which I actually postponed). We read "Divisadero" by Michael Ondaatje and I highly recommend it. How do you recover from your big races or from your season? Do you take time off from your training?